On behalf of Vietnam Journal of Science team, I would like to warmly welcome all of you to our journal. Our goals are to provide readers with important information about scientific discoveries and technological advances, promote scientific collaborations, as well as contribute to the development of Vietnam and other countries. 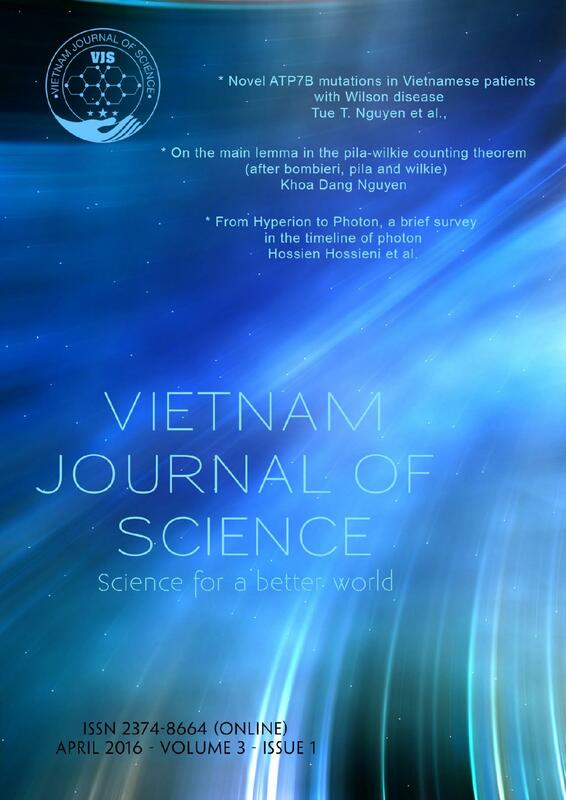 Vietnam Journal of Science (VJS) is non-profit project initiated by Vietnam Education Foundation Fellows and Scholars Association as well as a large number of dedicated Vietnamese scientists and experts worldwide. VJS is a multidisciplinary open access journal published online in two languages, English and Vietnamese. In our publications, you will find exciting news about major progresses in science and technology, scientific portraits featuring the brightest minds of Vietnamese scientists, as well as interesting scientific reviews and research articles. During the 1st stage, we will focus on establishing the VJS Public version for the general and science-oriented public. In the 2nd stage, we will build the VJS Academic version and run it in parallel with the previously founded VJS Public version. We plan to develop the VJS Academic version into a high quality peer-reviewed scientific journal. We strongly believe that the success of VJS will remarkably contribute to promote the advancement of science, technology, education and economy of Vietnam and many other countries. With our motto “Science for a better world”, we are working diligently to develop VJS into a bridge connecting scientists with readers and fostering multidisciplinary collaborations in science and technology. Please support and join us in this meaningful project for a brighter future of mankind. Once again, on behalf of all VJS team, it is my great honor to welcome you to our journal. We sincerely hope that our information will be helpful for your knowledge and careers.